Our trekking permits are checked before we cross the Modi Khola river via Birethanti Bridge. 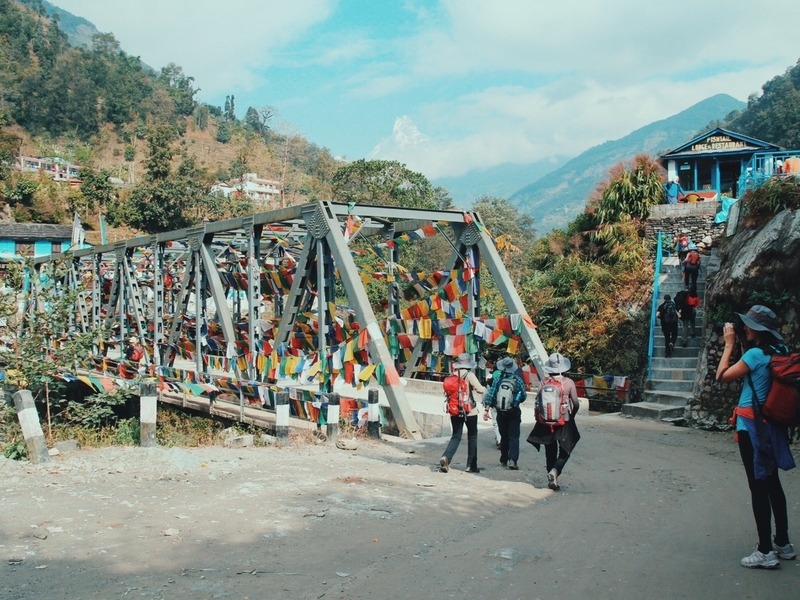 The metal suspension bridge is adorned with colorful prayer flags printed with Buddhist mantras. When hung in mountainous regions, their primary purpose is to bless trekkers with a safe and successful tre..